Our mission is to be the #1 choice world wide in truck scale software solutions. We’re changing the way U.S. businesses manage their truck scales. Scaleit W8 is a new concept that radically changes the way scale software is acquired and used. Scaleit W8 truck scale software is offered as a free download where customers pay only as they use the software, making it both an economical solution for smaller operations and a cutting package for the largest. Truck scale software shouldn’t be expensive to acquire, use or upgrade. With Scaleit W8users have the ability to leverage easy to use state-of-the-art truck scale software with NO capital outlay and low annual operating cost. Our mission is to be the industries’ #1 choice of weighing software in aggregate, waste and recycling weighing solutions!" Scaleit USA is an affiliate of Scaleit Group, a Scandinavian provider of advanced weighing software and equipment. Scaleit has more then 50 employees in a number of European countries with long track record of service. As a weights and measuring software provider since 1986, you can rely on Scaleit products and support to meet the needs of your demanding business. Vehicle weighing - in, out or internal weighing with clients, projects, multiple products, price lists, and notes on scale ticket. Scaleit W8 can be installed on all Windows operating systems; XP, Vista, Windows 7 or Server 2003/2008. Our expert team at Scaleit offers personalized, comprehensive remote support. Scaleit LLC will offer free phone and secure remote support for all clients during business hours. If for any reason onsite support is request, the client will be invoiced for all expenses. Support issues will be handled in order of their severity. With the most sever taking priority over the least sever. Scaleit LLC is dedicated to keeping all of our customers up and running at all times and will do whatever it takes to ensure all issues are taken care of as quick as possible! 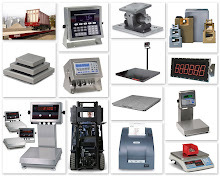 Scaleit LLC is an affiliate of Scaleit Group, a Scandinavian provider of advanced weighing software and equipment. Scaleit has 50 employees in a number of European countries with long track record of service. As a weights and measuring software provider since 1986, you can rely on Scaleit products and support to meet the needs of your demanding business.